5 Copies of A Place Called Heaven at a Special Price! 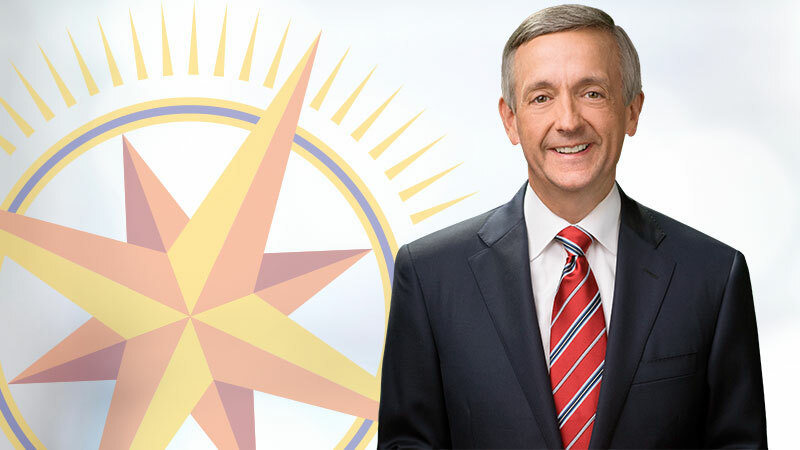 And, you can also request a small group package for $195 that includes five copies of the book and brochure, the LifeWay teaching set, and the complete series on DVD and MP3-formatted audio CD. First, click an image to select your thank you gift, then, scroll down to complete your donation. 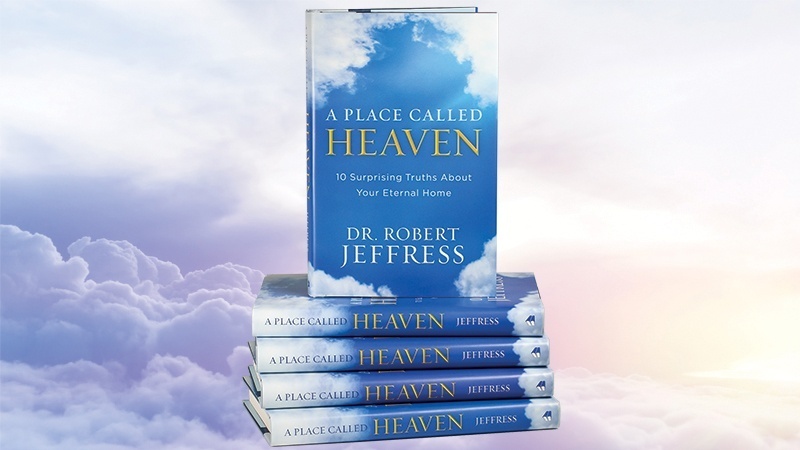 and request five hard-cover copies of A Place Called Heaven: 10 Surprising Truths about Your Eternal Home. 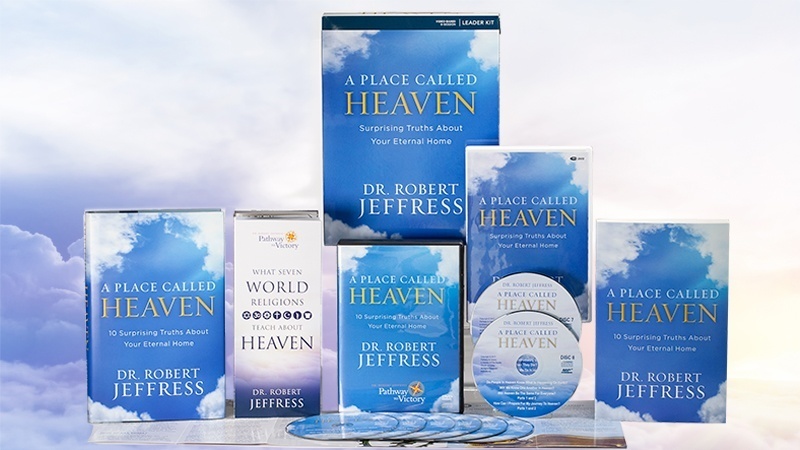 and request the hardback version of A Place Called Heaven, the accompanying LifeWay teaching set, the complete DVD/CD set, and the “What Seven World Religions Teach About Heaven” brochure. 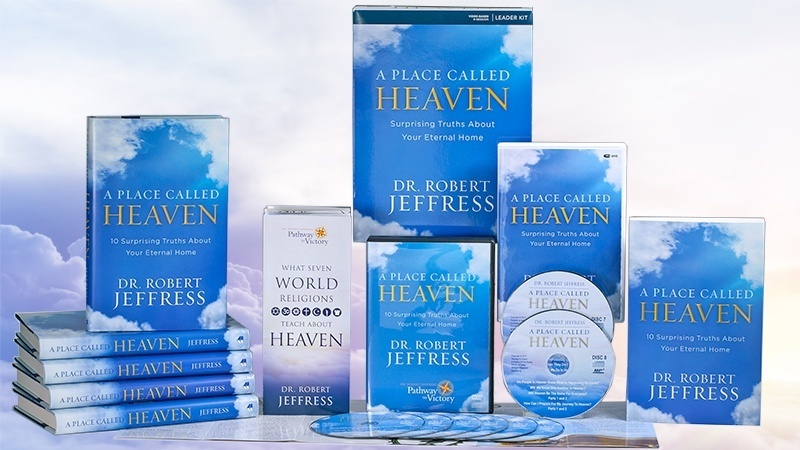 and request five copies of A Place Called Heaven book, five copies of “What Seven World Religions Teach About Heaven,” the LifeWay teaching set, and the complete series on DVD/MP3 formatted CD.